These are super easy to bake up and so much better than store-bought. One recipe makes 3 dozen, so there are plenty. However, these are not giant sandwich rolls, but are the perfect size for dinner or a salad course. If you are having 12 people or less this will feed everyone, they are little bites of heaven. There are so many dinner roll recipes out there, however, these can easily sop up the leftover gravy or salad dressing on a plate without interfering with flavor. They are soft and airy, just overall yummy. 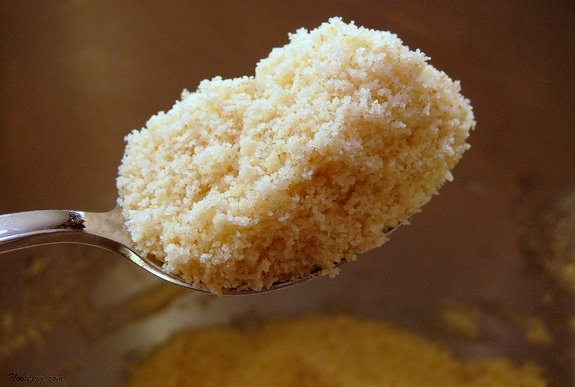 Using a standing mixer, combine 1 cup flour, the sugar, yeast and salt. With the machine on, gradually add the softened butter at low speed until the mixture is the consistency of sand, 2-3 minutes. Mix in the warm water in a slow, steady stream for about 1 minute. Increase the speed to medium and beat until smooth, about 2 minutes; scrape down the bowl. Beat in the room temperature egg at low speed for about 1 minute. Using the mixer fitted with a dough hook, mix in 2 cups flour, 1/4 cup at a time, on low speed, scraping down the bowl once, until the dough forms a ball, about 2 minutes. Increase the speed to medium and beat for 5 minutes until smooth, elastic and slightly sticky, adding up to 1/2 cup more flour if needed (I did not need it). Cover the bowl and let stand in a warm spot for 10 minutes. 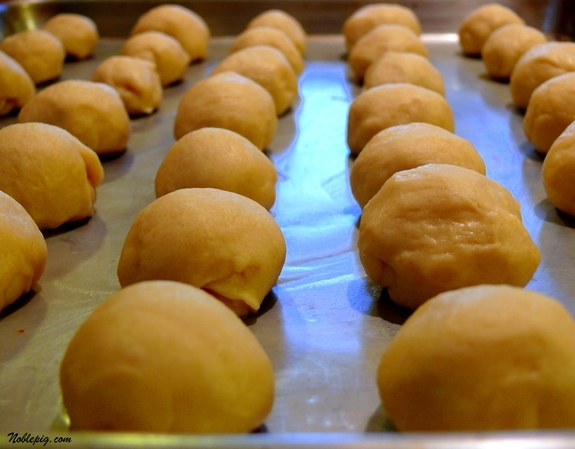 On a lightly floured surface, divide the dough into thirds, then cut each third into 12 equal pieces and roll into balls. Brush a heavy-duty baking sheet with 1 Tablespoon melted butter. Arrange the dough balls about 1″ apart on the prepared pan. Cover with a kitchen towel and let rise in a warm spot until doubled in size, about 1-1/2 hours. Preheat oven to 400 degrees. Bake the rolls until golden-brown, 12-15 minutes. Brush with the remaining 3 Tablespoons melted butter and sprinkle with the coarse salt. 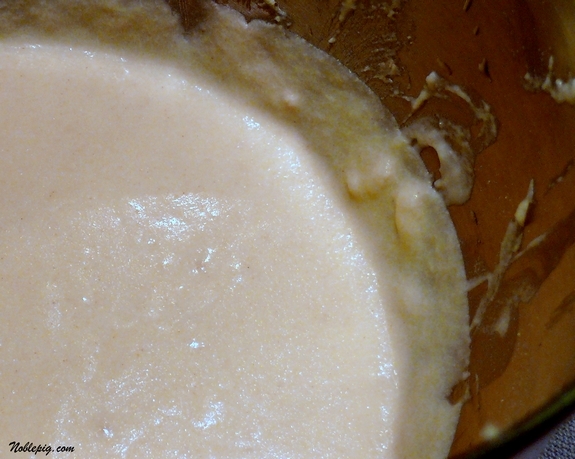 Using a standing mixer, combine 1 cup flour, the sugar, yeast and salt. 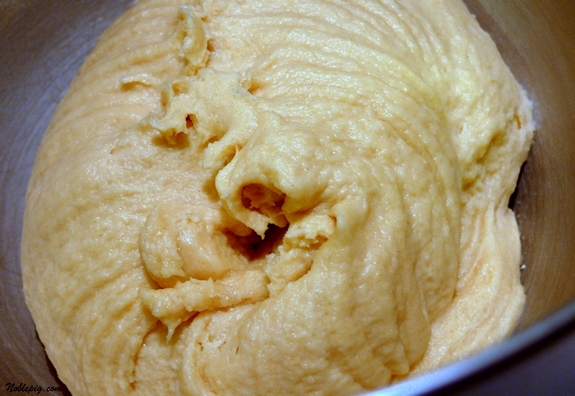 With the machine on, gradually add the softened butter at low speed until the mixture is the consistency of sand, 2-3 minutes. Mix in the warm water in a slow, steady stream for about 1 minute. Increase the speed to medium and beat until smooth, about 2 minutes; scrape down the bowl. Beat in the room temperature egg at low speed for about 1 minute. 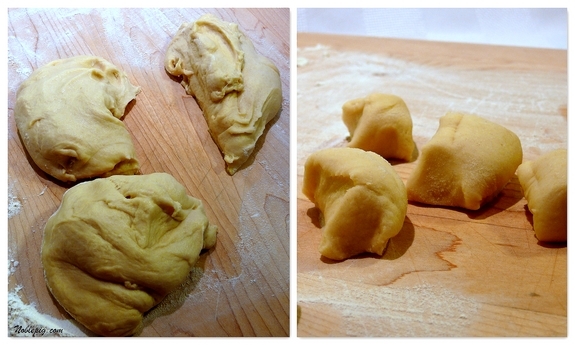 On a lightly floured surface, divide the dough into thirds, then cut each third into 12 equal pieces and roll into balls. Brush a heavy-duty baking sheet with 1 Tablespoon melted butter. Arrange the dough balls about 1″ apart on the prepared pan. Cover with a kitchen towel and let rise in a warm spot until doubled in size, about 1-1/2 hours. 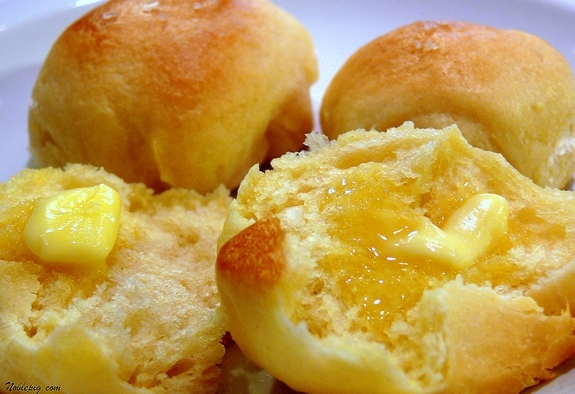 This is very much like my dinner roll recipe and you are so right, they are little bits of heaven! For years I was asked to bring the home made rolls to every family event….and these can really make a simple dinner fantastic! These looks so soft and delicious. Any bread home baked is superb. The whole house would smell so good. I would really love to try them. Thanks for sharing. I’ve never made dinner rolls from scratch before and these look SO good! Going to give them a try once we get into the new house and are settled…(we move TODAY!) I can’t think of anything better to christen the new house with than the smell of freshly baked rolls. Mmmmmm. Oh YUM!!! Bread, my favorite carb!! They look all golden and delicious! They look delicious Cathy and are the perfect size for a dinner roll. I am going to give these a try! Those are totally and deliciously gorgeous Cathy! I will have to try these 🙂 I have been using a fabulous pull apart roll recipe I got from Jill at Simply Recipes and it also uses coarse salt like yours, sooooo yummy! I love rolls and bread and these look so good (especially the salt on top…nice touch). Got Butter??? Whoa,these are pretty,they look so soft!! Very good post,and just at the right time,to try ahead,before the pressure comes on during the holidays!! Mmm, those DO look good! Nice, golden color! These rolls look absolutely gorgeous!!! I must try them. These seem much easier than the Sour Dough Bread that I posted for Thanksgiving. Beautiful photo! I was going to make Angel Biscuits but honestly Cathy, these look much more angelic! WOW! How many rolls did you get out of this? I bet my husband could ten!! These look much easier than the ones I attempted and failed last year…I’m making them tomorrow! This recipe speaks to my soul. I love homemade rolls more than what is necessary! I love the addition of the course salt. I could eat these right now, with the melted butter. 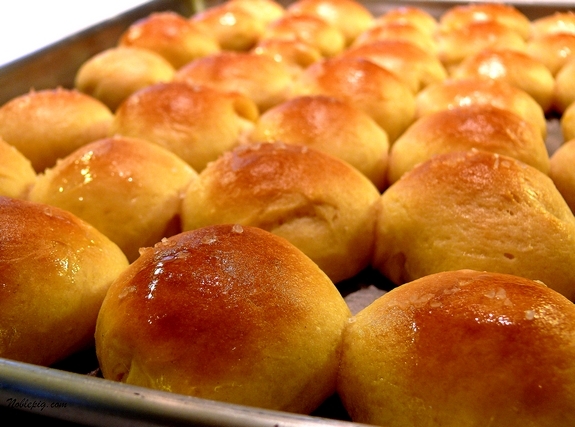 Oh my Cathy, that rolls look so wonderful and delicious. I’ll have to plan an occasion to serve these, they look amazing! These look so soft, perfect for a diner roll. I’ve never made them from scratch before but I might as well try now! k, i’m having a dinner party this w/e and may have to do this – if i’m up to adding this to my list of “things to make from scratch”. looks easy but do i have the room in the oven? delish! These look golden, and tender, and delicious! They’re beauties. Those rolls look just perfect! Bread. Oh. Bread. I love you. Who needs protein, veggies or sweets when you have bread. Yum. Just in time for the holidays! They look wonderful, Cathy. If they taste half as good as they look, you have a real winner here. These are a definite do!! I’m getting a Kitchenaid for Christmas. Can’t wait to make stuff like this. Your photo with the butter melting all over that delicous roll?? Oh my. It made my mouth water. One of the finest things in the world is the smell of fresh bread baking. The second finest is biting into one while it’s still warm! Oh my sweet lord in heaven, must have now. Delicious. Now I’m wondering if I have time to bake a batch of these for Christmas Eve at Mom’s. I have some leftover yeast. Well, if not for Christmas, then definitely for my next dinner party. My husband and I both have a weakness for Small Units of Bread. I’m so glad you posted these! I’ve been looking for a white dinner roll for Ben! These would be my downfall at any meal. They look absolutely perfect. The butter/honey shot is to die for. Wow. I think I will make these this weekend and freeze the leftover, shaped balls of dough to consume later. YUM! Thanks for a great recipe. Beautiful rolls and luscious photos! I may have to try them. Can’t eat just one? I’d have a hard time stopping at two or five! The melted butter on that hot roll is too die for! It looks like a lovely recipie and the last picture is so jummy! Just took my rolls out of the oven and ate the first one. MMMmmmm. So tender and light. It will be a challenge to save and freeze most of them for Christmas supper. Going for my second, right now. Think I’ll have a bit of honey on it. Thanks for another winner. These look gorgeous! Can these be par cooked and frozen? I’ve never done it so I have no idea. I used just a regular baking sheet, no stoneware. I think that to receive the home loans from creditors you should have a good reason. Nevertheless, once I have received a student loan, because I wanted to buy a car.